Three best friends – Alex, Az and Jim – head to Ibiza for their first lad’s holiday. Unfortunately, tagging along is Alex’s unimpressed ex-girlfriend Ellie. Arriving on the island, the lads dump Ellie with Alex’s sister Liz, and her friend Zara, and head to San Antonio to start their week of sun, sea and debauchery. Soon they end up in a club, run by local gangster Karl, where the attractions aren’t all alive – they’re zombies! 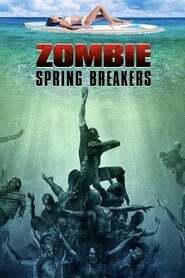 Due to Jim’s drunken antics the zombies escape, and soon all hell breaks loose and no one on the party island is safe.